In Garuda AACE 2015 Project, on Week 10, the Author and 4 other members, submitted Change Order (CO) to Client for descoping Paper Project. 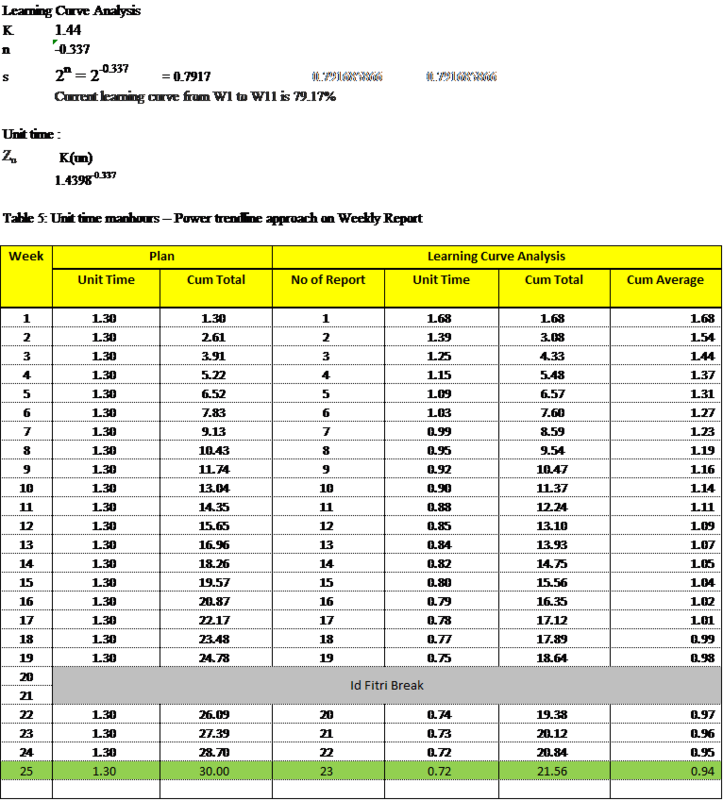 The Client accepted the CO with notes that those members need to do rebaseline on W11. Before rebaseline, the Client requested us to apply Learning Curve on the project , in order to have sufficient input for rebaseline. In this week’s blog, the Author will apply Learning Curve on two running project : Weekly Report and Blog. 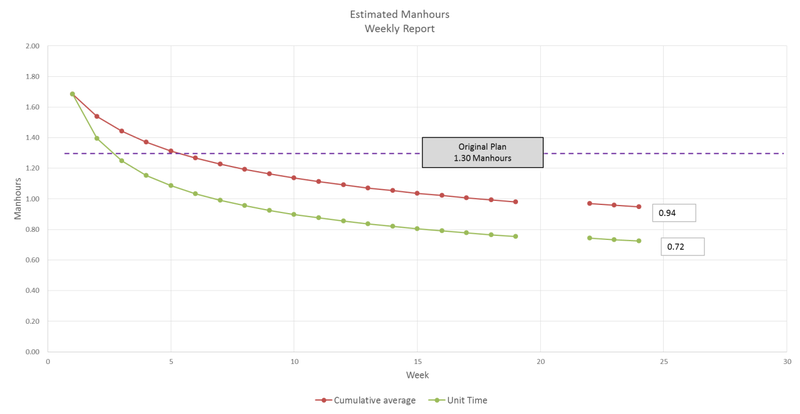 The concept of a Learning Curve is each time the cumulative production doubles, the hours required to produce the most recent unit decreases by approximately the same percentage, known as a slope. 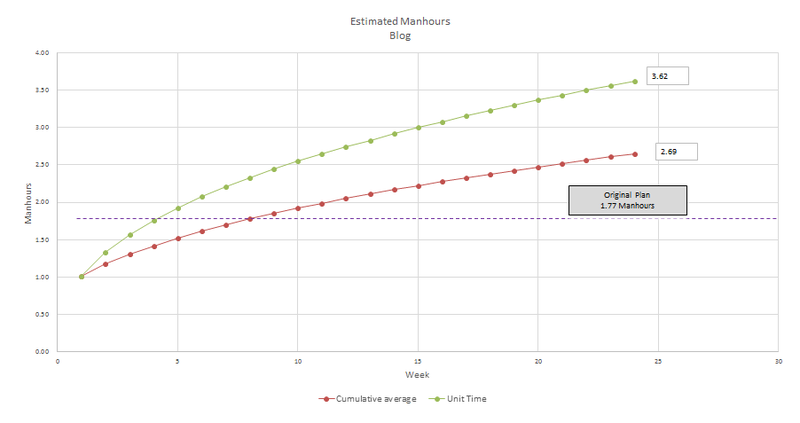 The purpose of this learning curve analysis is to estimate realistic manhours based on previous actual hours and current learning curve parameter that required to complete the task. Basic expectation is realistic efficiency will required less manhours to produce the assigned tasks. However the less efficiency will also be consider for more manhours if realistic actual data stated that condition. 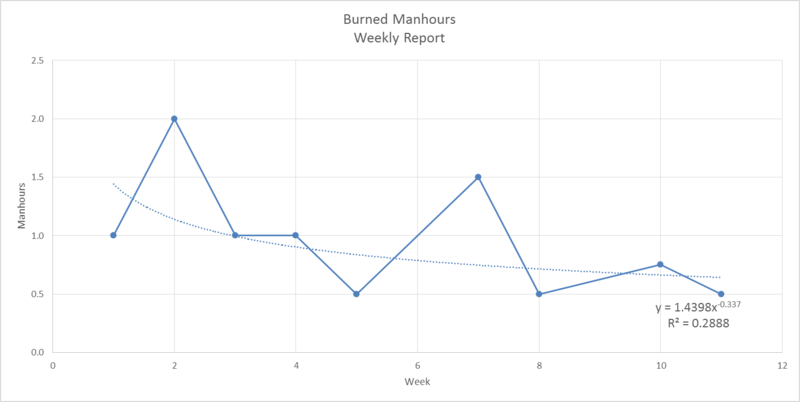 Based on the Table 5 above, with the current level of efficiency, total hours is estimated decrease to 21.56 hours with average manhours per report is 0.94 or rounded to 1 hours per report. 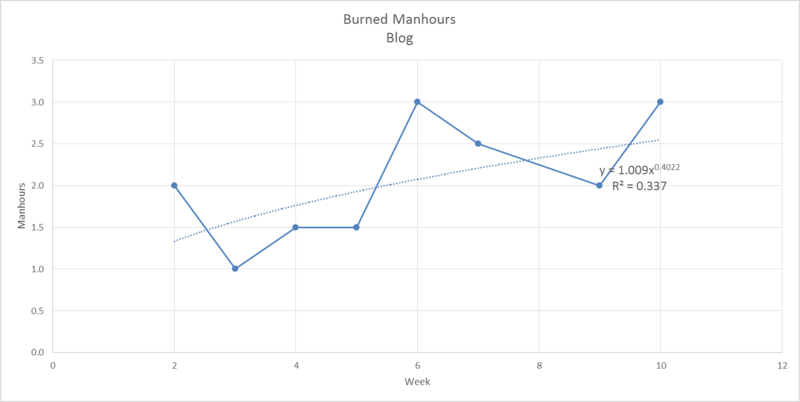 And based on Table 6 above, with the current level of efficiency, total hours is estimated increase to 63.57 hours with average manhours per report is 2.69 or rounded to 2.7 hours per blog. Sullivan, W.G., Wick, E. M., Koelling, C.P. (2012). Engineering Economy, Fifteenth Edition, Pearson, Chapter 3, 108-111. Humphreys, G. C. (2002). Lerning Curve. Project Management Using Earned Value (3rd ed.). Orange, CA: Humphreys & Assoc. Again, simply AWESOME…..!!! 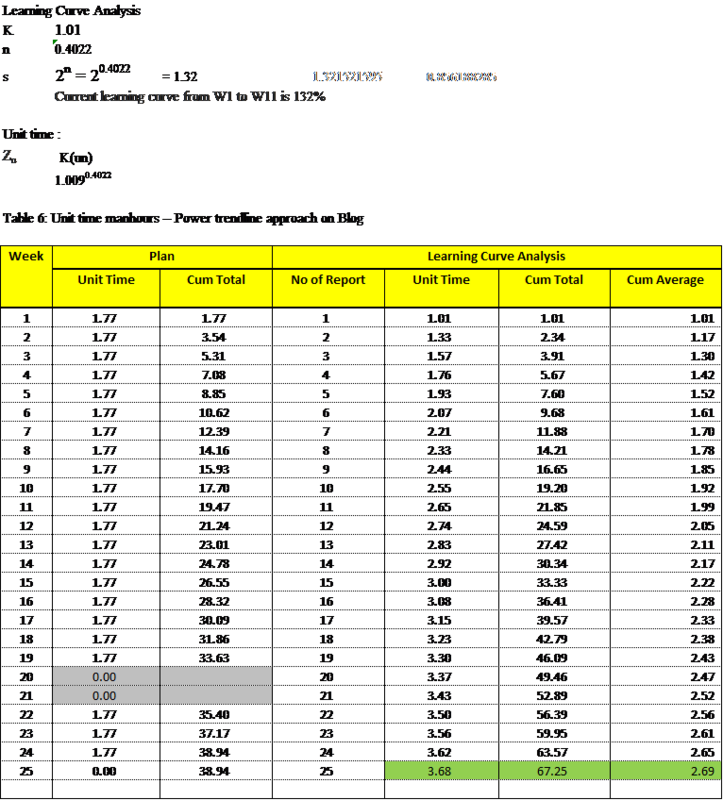 Ideal case study and your analysis was perfect. I was thrilled to see you eliminated the outliers (although it would have been great to see your calculations) but that was the right approach. Keep up the great work and looking forward to seeing your blog postings each week!! Noted Pak, thank you for the feedback. I just posted my W13 blog, but different topic.Plan to apply PERT on next blog posting then.